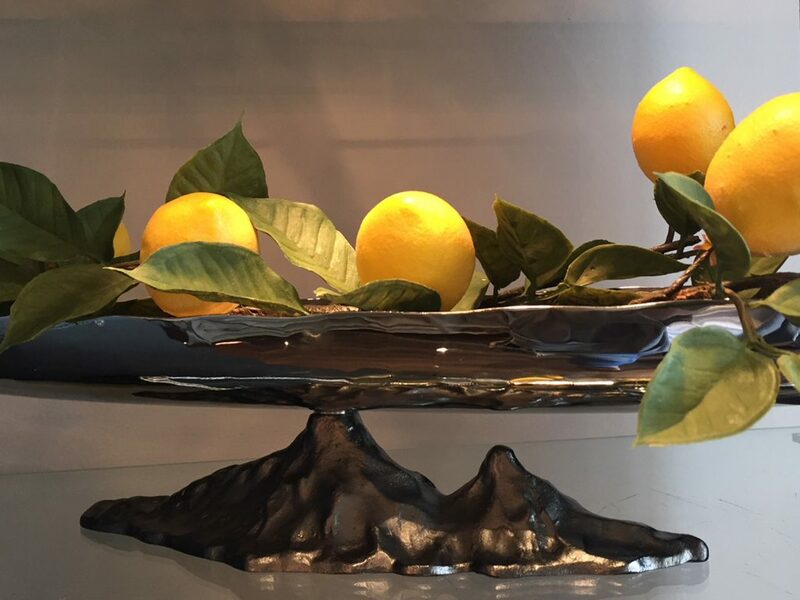 If you haven’t discovered the exquisite giftware from artist Michael Aram yet, we wanted to make sure you were introduced. 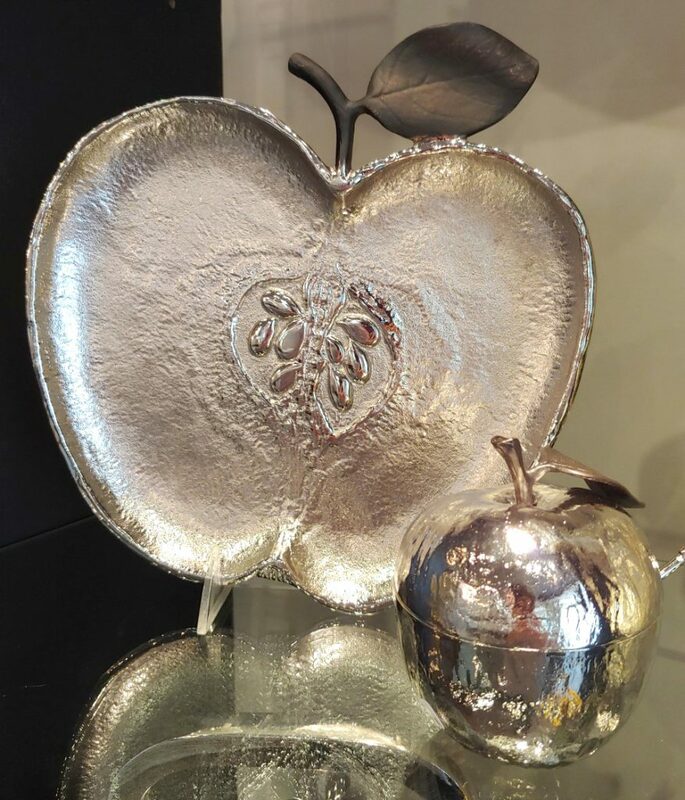 As the exclusive Michael Aram retailer in the Okanagan we feel privileged to bring you his beautiful pieces inspired by nature and symbolism. Aram is a trained painter, sculptor and art historian. He lives in New York City and also spends time at his home and studio in India.His passion for the handmade process is evident and he doesn’t design anything unless it has a genuine personal connection to him. We think you will connect with his pieces too. His pieces are an investment to cherish and even pass on. If you are looking for a gift for that special person or that special space in your own home there are some amazing choices within his various collections. 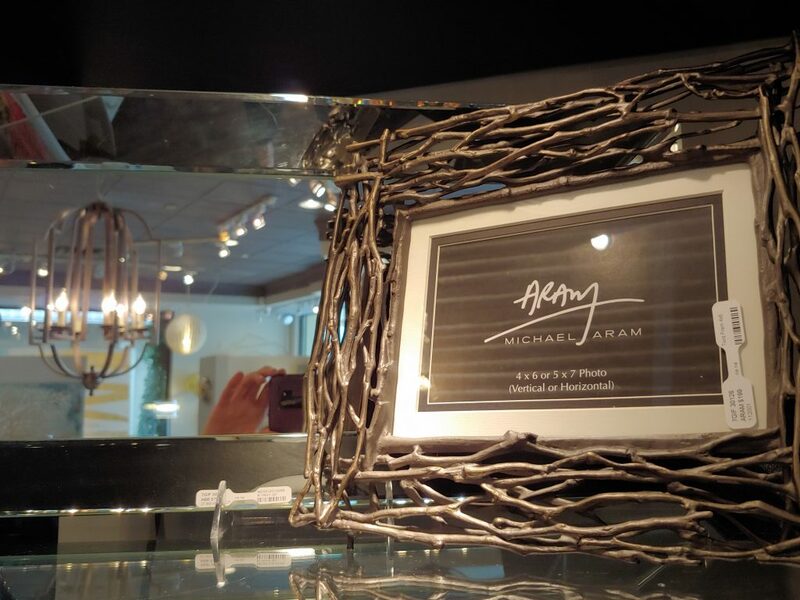 At Modern Accents we have pieces from these collections ranging from serving pieces, candles and candleholders, dinnerware, flatware, picture frames, vases, and decorative giftware. 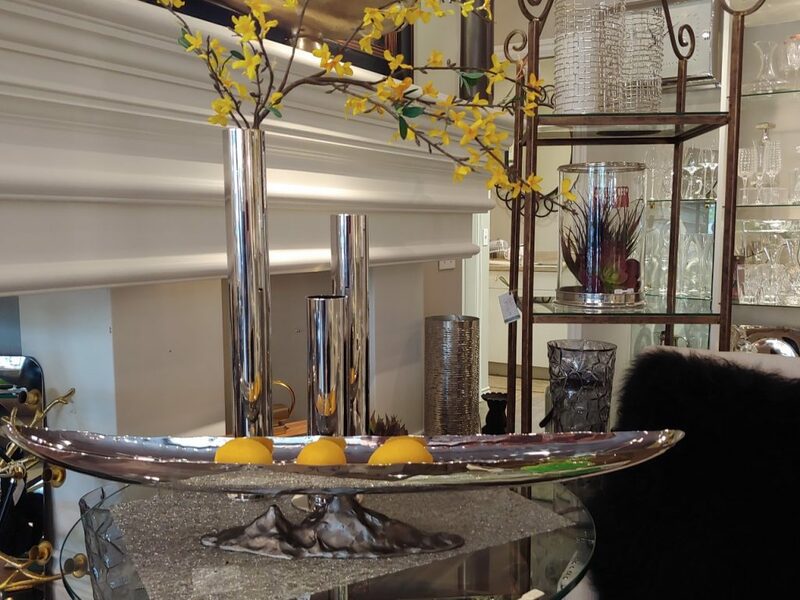 If you don’t see what you want in store we encourage you to visit www.michaelaram.com and we can always help you place a special order. 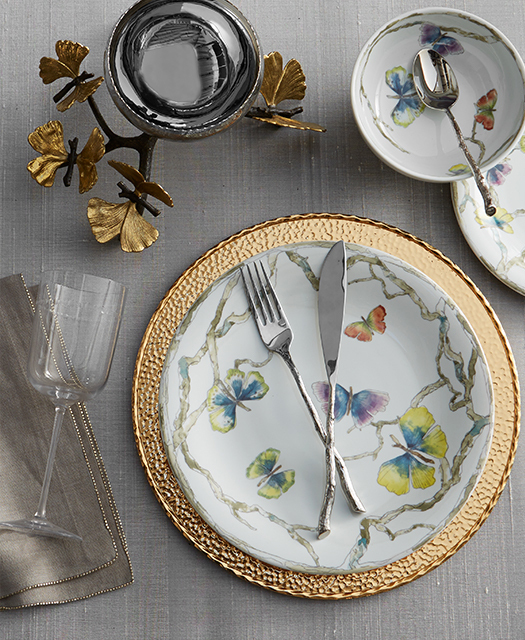 Whimsical giftware and dinnerware inspired by the ginkgo tree which grows with a double leaf reminiscent of a butterfly’s wings. These vases are inspired by the form and texture of foliage and tree bark specifically. 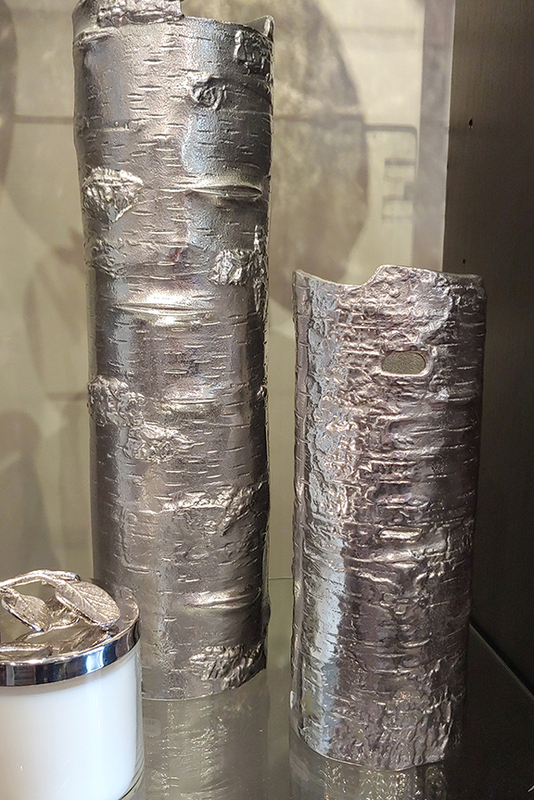 Nature really is beautiful and we think you will agree that these vases capture those beautiful details. We love the irony that these vases could be a vessel for something real in nature like a flower or twigs. Also note the scented candle jar on the left. These are a very popular gift idea. 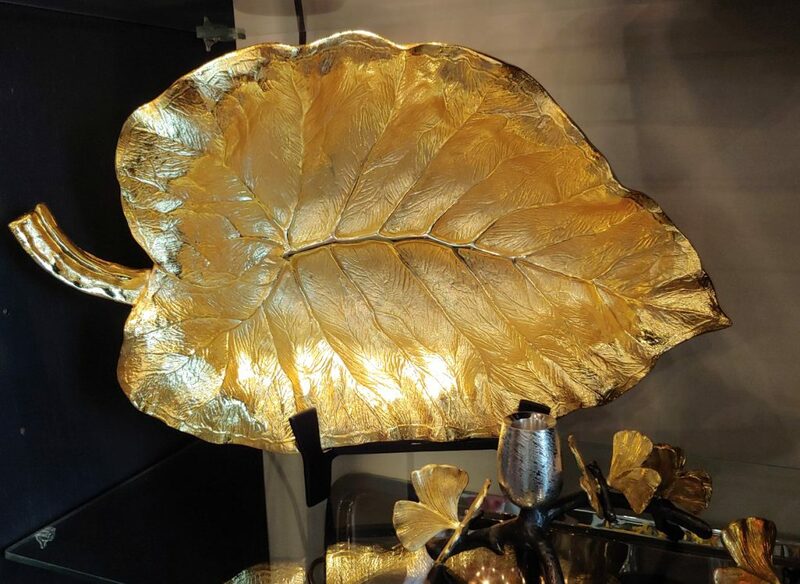 Speaking of foliage, Aram has an extensive collection of different leaves that are actually designed in the proportions in which they actually occur in nature, amplifying the sense of realism for which he is so well known. Each leaf has its own story, its own symbolism and its own inherent wonder, detail and shape and they are all leaves that have sentimental meaning to the artist. What a statement in gold! See more of his leaves here. This piece takes its inspiration from the narrative of Noah’s Ark and the survival of man and animal after the great flood. Drawing profoundly from Aram’s background as an Armenian American, this piece celebrates the potent story of the ark landing on Mt. Ararat. Create your own narrative in how you choose to display this wonderful piece. It is dramatic with or without something in it. 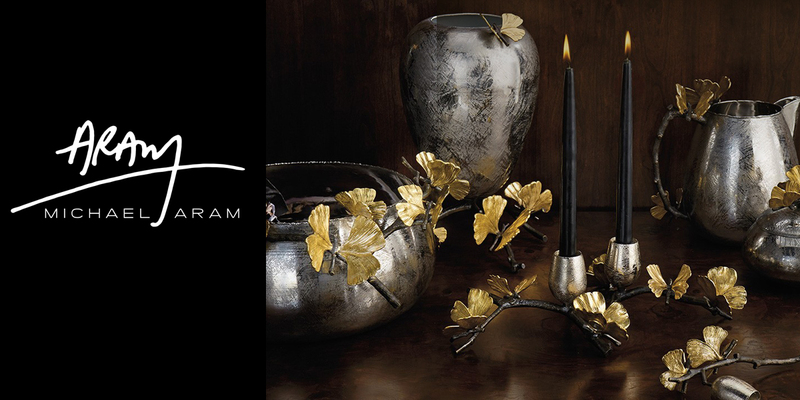 To learn more about Michael Aram and his artistic creations and process visit www.michaelaram.com.